Casa Collab is a collaborative design lab for jewellery and accessories that are sustainable and innovative, based in Peru. We develop each jewellery piece with the purpose of generating feelings of happiness, fullness, spirituality, empowerment and pleasant memories for each of our clients. Our vision is to generate prosperity and well- being to peruvian jewellery and metalsmithing artisans that are located in peri- urban and rural areas of Peru, with the use of collaborative design® and new technologies. 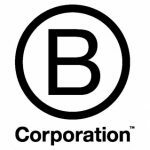 We are a B Corp, the first in the jewellery sector in Latinoamerica. We co- design, we co- create.